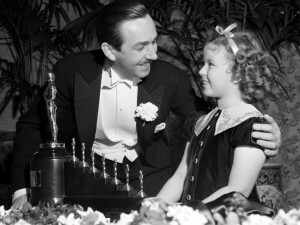 Walt Disney has cast a long shadow on cultural life, particularly of the young. So his life likely warrants a long look, too, which it gets this week on “American Experience” (PBS, 9 p.m., check local listings), a four-hour, two night biography that begins tonight. “We want to give Walt Disney a presidential treatment because we think he’s one of the most influential Americans of the 20th century,” Mark Samels, the executive producer of “American Experience” told reporters at the TV Critics Association summer press tour. The coolest aspect of the film by Sarah Colt might be the unseen test films for things like “Snow White” and a few of his early films. But there’s something uncharacteristically dull about the whole thing as well in recounting what is in part one anyway, seems to be a sad and unfulfilled life. At the TCA session, I asked art historian Carmenita Higginbotham, who is quoted in the film, about the pervasive influence of princesses on what would otherwise be strong young independent women (such as, I was thinking, my daughter). “One cannot deny the influence of Disney culture,” she said. “That’s the way younger folks refer to it in that they don’t think so much about Walt himself anymore. It’s branched off into this total idea about princesses and, you know, marrying somebody you just met and riding off into a castle. Don Hahn, an animator and producer on more recent Disney films, says that’s changing in recent releases. When they were working on “Beauty and the Beast,” he said, we had just released ‘Little Mermaid,’ a story about a girl who wants a man so much, she’s willing to give up her legs and voice her fins and voice for it. “That seemed like a story that was becoming an old pattern for a young woman to follow,” he said.” So we deliberately tried whether we succeeded or not, you can judge, but with Belle to make her bookish and driving the story in the plot. And she wasn’t after love. She was after adventure that she read in those books. And in writing “Malificent,” the live action reboot of the “Sleeping Beauty” story, there was an attempt to change that approach, Hahn said. “We were sitting in the room going, ‘We can’t have this girl sleep until she wakes up because her man says it’s okay to wake up.’ That’s not a story I want my daughter to hear. “American Experience: Walt Disney” concludes Tuesday.